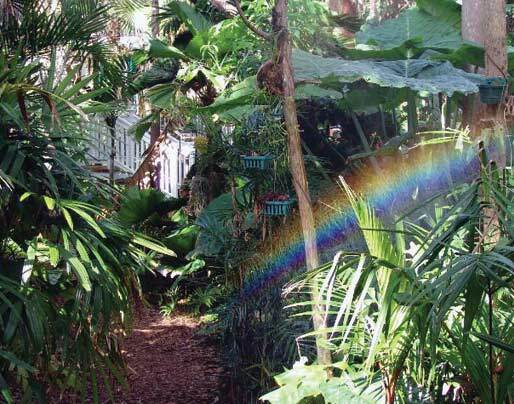 NANCY'S MESSAGE Dear Key West friends and supporters of the Secret Garden Thank you for your love, kind wishes, and heartfelt contributions to the Garden for the last 15 years. As I turn 70 on July 29th, and after much reflection, I am no longer able to meet the physically demanding schedule that the garden requires and I must transfer stewardship of the Garden to MANA PROJECT, the nonprofit organized to operate the garden if it is to continue providing the service and inspiration to the public as it has for the last decade and a half. Knowing that there are big developers who would love to get their hands on it and close it to the public, breaks my heart even more. Fortunatly a group of volunteers, advisors and professionals are now working to ensure that the garden and compound is viable for future generations. We need to raise $160,000 right away for this yearâ€™s budget. I am urgently asking you to join our grassroots campaign and to make a tax-deductible gift of whatever fits your donation budget. Itâ€™s real simple and can be done with the few clicks of a mouse. My, NANCY'S GREEN GARDEN BIRTHDAY WISH is twofold. 1. Donate to Mana, or go www.manaproject.org and click on the â€œDONATEâ€ button. All the information to bring you up to date on our project and its goals, is right there for you to see. 2. I need your help to spin A BIG SPIDER WEB ON THE INTERNET by endorsing and forwarding this e-mail to family, friends, business colleagues, garden clubs, artists, environment groups and animal welfare activists. We need your endorsements too. Please share your endorsements. Mana will post them on the web. It has been an absolute joy and privilege to serve you and be part of the memories that the Secret Garden is to all of you who have enjoyed its peaceful, inspiring and mystical atmosphere, whether it was a retreat or wedding or inspiration for art. Please help me keep this â€˜green treasureâ€™ open to the public for now and future generations Click here to enjoy the garden. Warm loving regards, Nancy Forrester As environmental steward of this land for 40 years, I have protected its spirit of the place, its heirloom trees, its precious humus, its unique topographical feature a solution hole, its cultural, and historical heritage and its physical beauty. As an ecological artist, I work to strengthen the future of creativity. Thank you, Key West Mayor McPherson for honoring me with a Proclamation I wish to thank Alexander Elliott Wright (1933-2005) "Elliott" to our visitors, "Pops" to our community. Elliott loved planting trees and welcoming visitors. He volunteered 25 years of service to the Garden, fulfilling myriad roles. He supported me with devotion and unwavering optimism.